What’s The New Features About Android 4.2 Jelly Bean? 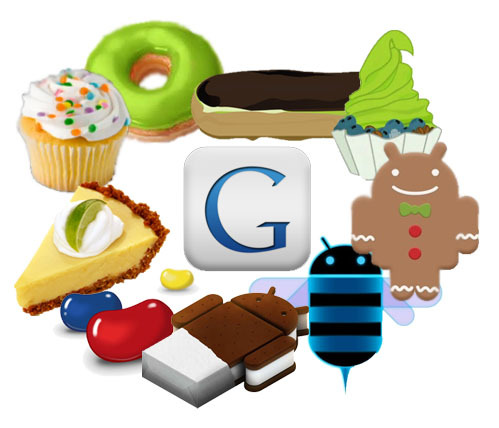 As for the hurricane Sandy, Google canceled the Android conference which was supposed to held today(Oct 30,2012).But it choose its official blog to establish the new android os:android 4.2 which gets the name Jelly Bean the same as Android 4.1.Actually people thought Android 5 will be named as Jelly Bean.At the same time,Google also published Nexus 4(smartphone) and Nexus 4(tablets) which run on Android 4.2. As we now we can open several webpages or sites iby several tabs in the same chrome window,now Android 4.2 enable you to surf the internet like this on Google Chrome for Android 4.2 based smartphone. 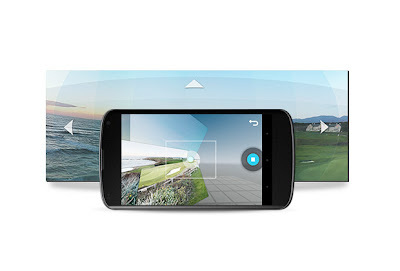 You must hate it that it doesn’t get much space to take more things included when taking photos.Now the Photo Sphere Camera give your this ability. Just like Apple did in iOS 6, Google has added a “panorama” camera function to do this. In other words, it makes you take larger pictures by moving the smartphone camera and then digitally stitching together multiple images. 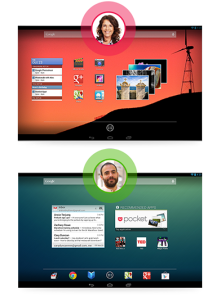 Some of Android manufacturers, like Samsung, had already done this but it was not an existing feature of Android itself. We usually use to gestures to express us when sometimes it works better than words.Now you can use gesture type. 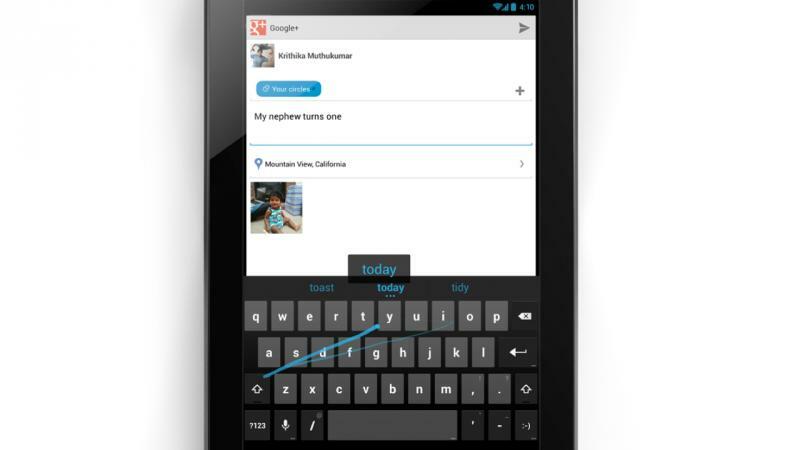 You move your finger around the keyboard from letter to letter without lifting it up.It is a classic Android third-party feature that many cannot live without.I think that would be a little difficult to handle.You know you can’t press too hard or the opposite in case the words won’t show up or show the wrong words. But many manufacturers, like HTC, already used the gesture swiping method. It works Like Apple's AirPlay, it will let Android users display their device's screen on your TV(of course the tv sets should matched with set-top boxes). It means you can transfer music or movies to the tv set.This is one typical feature for Android 4.2.It will enable Nexus 4 to transfer music or video to tv set.The set-top boxes which would match the existing TV Miracast is expected to be in the market in the near future.As Google predict, it will sold lower than $99. You can share your computer with others by setting multi-accounts.And the users can customize it to his own preferences, such as personalized home screens and apps. Now you can also do this on Android 4.2 tablets. Tablet computers are more and more merging with traditional PC functionalities. It should be of great use for family members or close friends. 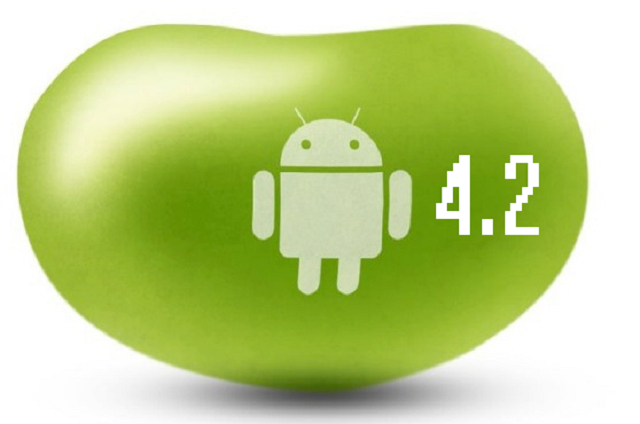 This is another Jelly Bean 4.1 feature which was improved in 4.2.As its name tells, you can resize some widgets as you want.This is good for some near sighted or senior citizen. Now NFC is getting hot. NFC is short for near field communication. That includes Android Beam, the Near Field Communications (NFC) function that enables people to share photos, websites, music, directions or videos with a single touch, which do more compared with Bluetooth. For example, in the near future you don’t even need to take the airplay tickets,just take a smartphone which gets the NFC function. With a simple touch,it will let you take the airplane. Apple’s iOS has nothing similar. Are you interesting in these new features? For some smartphones which are pre-installed Androdi 4.2, Motorola will be the first to update to Android 4for most of its products, like Razr、Razr Maxx series. But it did not give the exact date. If you wish to update to Android,I am afraid you have to wait the push notifications. How to unlock Android Phone When Forgot Lock Pattern or Password? How to Enter Android Developer Mode? How to Transfer Paid Apps form One Android Device to Another? LG Nexus 4 vs iPhone 5, It's Your Decision! What will Android Fans Will be Like? Android Information. Simple theme. Powered by Blogger.